METRA Australia is your innovation partner for smart electronic locking, Access Control solutions and cashless payment systems to suit all types of leisure facilities. Our team’s flexible solutions utilise world-class technology hardware and software including HID®, HID® Smartphone App, MyMetraKey™ Smartphone App, METRA Kiosks and displays, Touchscreens, Keypads, RFID card/bands, METRA Readers and Reader Terminal management, Turnstiles, payWave® and more. Contact METRA Australia today for more information of our tailored solutions. We are the only company in Australia with locker units made from High-Pressure Laminate (HPL). This material offers water and corrosion-resistant properties, robust security and damage resistance, no ABS edging – backed with a 10-year warranty. The improved structural stability means we can tailor the configurations to suit vertical and horizontal space requirements. Choose from our extensive range of colours to provide a look and style to suit your establishment. Australian-made metal lockers, constructed with a fully welded top and base, ensuring a more rigid cabinet compared to riveted, imported products. We offer a range of functional, flexible and quality seating and hanging rail solutions, designed to enhance your locker environment. Sure to impress, our ergonomic designs and variety of configurations can be tailored to suit any requirements. Our patented hardwired (no batteries) METRA electronic lock is built to work consistently and reliably in challenging cold and hot/humid weather environments. 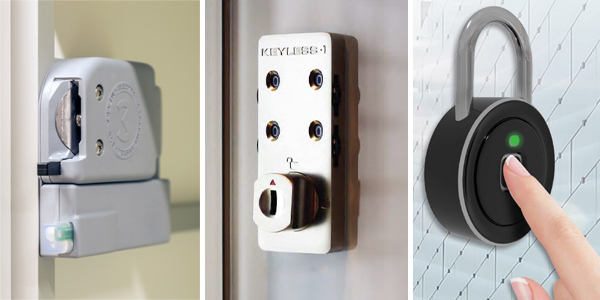 We also offer an extensive range of Keyless.co padlocks, combination locks and a smart fingerprint padlock for optimum security and convenience. User interfaces range from a Terminal with simple 4-digit display, a central RFID Reader Terminal, a customised METRA Kiosk Touchscreen with your logo/branding, to individual RFID readers on each locker door. RFID technology offers seamless access management and improves on-site security such as facility entry and open/closing of personal locker storage. Patrons, members and staff can use RFID smartcards, wristbands, barcodes, fobs and more. We integrate payWave® cashless payments and also offer a solution that assigns access and a cash credit amount. Our customers include aquatic centres, gyms and fitness clubs, hot spas, hotels, sport and recreation facilities, major venues, water and theme parks as well as mass transit, government and corporate environments.